If you are looking for a home in Williamsburg with a large yard and privacy you may want to consider Skimino Landing Estates. 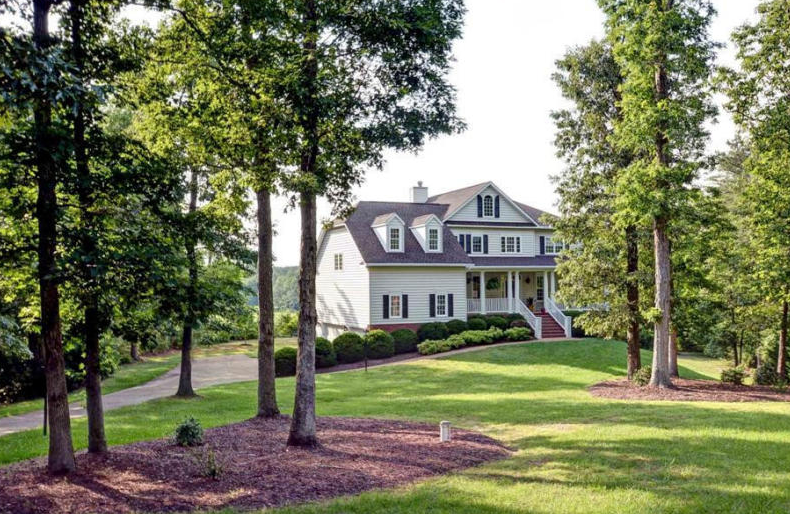 It along with Westport at Fords Colony, Uncles Neck at Liberty Crossing, The Retreat , Wexford Hills and Banbury Cross are some of the more popular neighborhoods with 2+ acres yards in the Williamsburg, James City County and upper York County areas of Virginia. 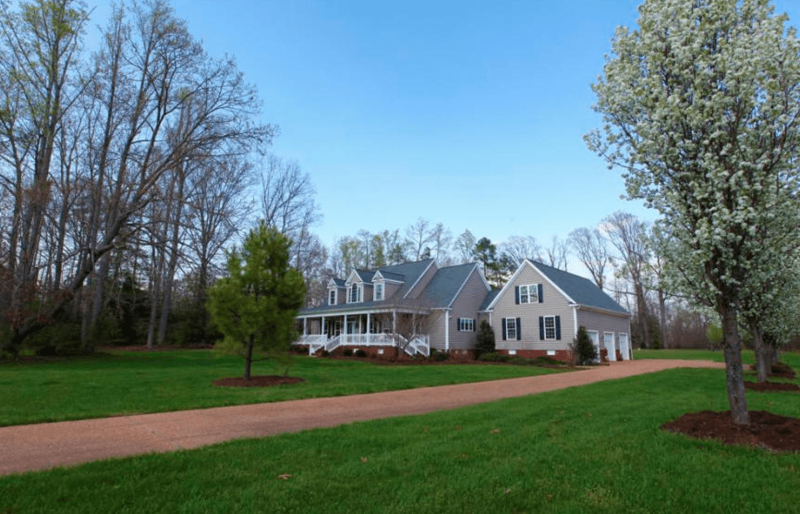 With yards large enough for family softball games David Campbell knew Skimino Landing Estates, located near the York River and Camp Perry, was the right place to build his own family’s custom home. The topography throughout most of the Skimino Landing neighborhood is very rolling. A neighborhood boat launch is available for homeowners exclusively that will put your boat onto the York River. You will find all styles of homes in Skimino Landing from Georgian Colonials to Transitionals, Cape Cods and everything in between. All of the homes were custom built starting around 2000. There are no two homes a like . Most homes are at least 3300 square feet, some are over 5000 square feet. Skimino Landing is very convenient to Interstate 64. You can get to it from exit 234 or 238. Colonial Williamsburg is very close as well. Children who live here would attend Waller Mill Elementary, Queens Lake Middle and Bruton High School all which are part of the highly rated York County School System. If you would like to see any of the homes for sale in Skimino Landing Estates or any other neighborhood in the Williamsburg area give me a call ! KEEP LOOKING :Home buyers looking for larger lot neighborhoods in the Williamsburg Va area have a variety of other communities to choose from .Westport at Fords Colony, Liberty Ridge along with The Conservancy, The Retreat , Wexford Hills, Woodland Farms, Merry Oaks, Uncles Neck and Banbury Cross are the most popular neighborhoods. Most of these offer 2+ acre+ yards. There are also numerous parcels off of Forge Rd, Brickbat Rd and others throughout the area that are simply rural or non neighborhood locations.Most of these are typically in the western part of James City or York County.